I have a hard time visualizing how drawings on paper will look in three dimensions and in real space, which means my garden beds get done and re-done, sometimes on the fly, as I try to get the look in the ground to match the one in my head. In the past, I’ve had the good fortune of working with a local landscaper who I trusted to take my ideas and give them an appropriate shape that looked good in both two and three dimensions. From there, I would revise the layout and reassess the plants. 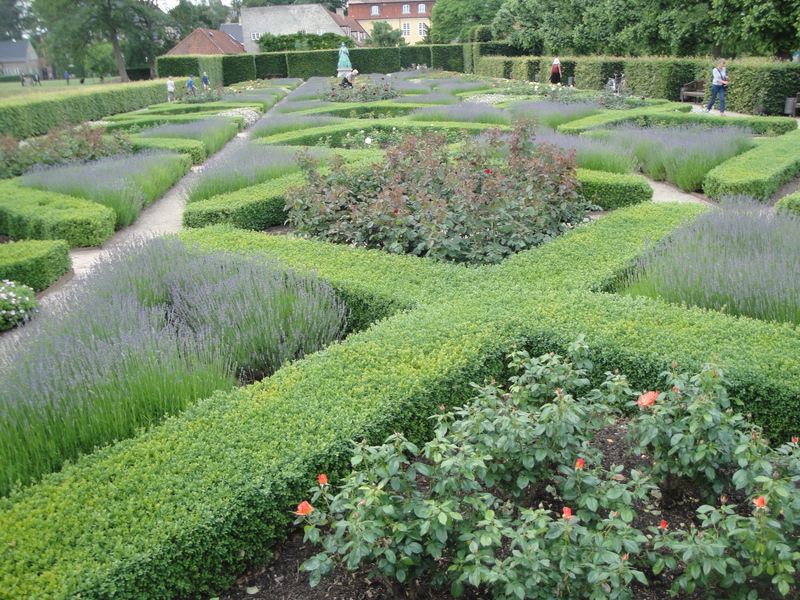 The formal garden at Rosenborg Castle gardens in Copenhagen. My garden will not look like this. With our new house, I paid to have a one-time consultation with a garden designer (something I recommend most gardeners do before starting a larger project) and she reinforced some of the ideas I had and gave me some good suggestions for bed shapes and plant materials. I’m using those ideas to plan my back gardens on my own. Next year, we will re-do some of the sidewalks and stairs in our front, which have drainage issues, and at that point, I’ll probably hire a designer to give shape to the front. For now, I’m on my own. Before getting too deeply into garden planning, you have to to ask the big questions. Here are some I’ve been asking myself over the past year, and a few of the answers I’ve come up with. Here’s the dream: a secluded spot and a nice chair. This was taken in Toronto during a Garden Bloggers Fling in 2015. The backyard has two sections, a patio area that faces what will be a mostly edible garden, in raised beds, with some native plants around the beds. This is a spot for entertaining or having morning coffee. It needs some soft screening from the alley and neighbors and a big table with an umbrella. The raised beds are in and planted. The third section is between the house and the garage. It is screened on three sides by buildings and, because we are very close to our neighbors back entry, needs more screening on the fourth side. My hope is to fill this with lots of plants and turn it into a quiet garden for reflection. 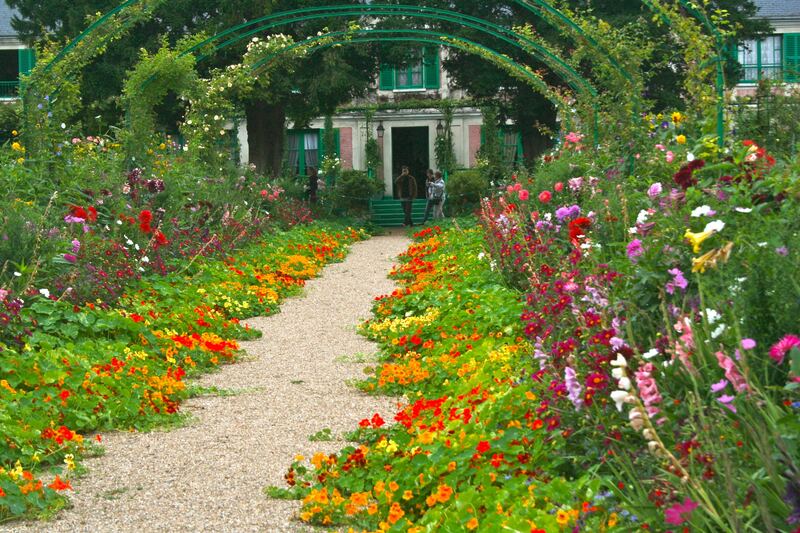 The Grand Allee in Monet’s garden in Giverny, France. My garden will not look like this. How will you get from space to space? We did some work on the paths last year, adding a brick path from the patio to the back gate. We walk that path several times a day and are very happy with how it turned out. We need to create a path from the back steps into the quiet garden and that will likely be done in grass with a brick edging. That’s on my to-do list for later this summer. A path from front yard to back on the east side is also needed and will be done in the future. On the west side, we have a narrow sidewalk and no option to do much about that. What about water? There are two questions here, really. How will you get hoses from point A to point B to water plants, but more importantly, how will water flow be handled. We have a slightly soggy area in the quiet garden and I need to adjust both the outflow from our sump pump (which runs only during major wet periods, such as last month) and a downspout. This may take some engineering, but I don’t want people to be tripping over hoses and downspouts, so it needs attention. 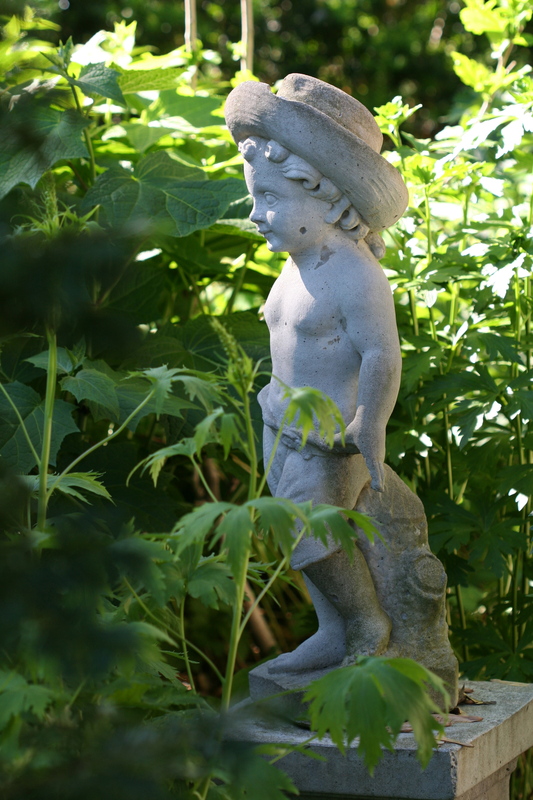 Cool little statue in a formal garden in Toronto. Likely will not be in my garden. What’s your style? Several years ago, I read a very good garden design book that recommended people name their garden to help them get a feel for their style. Facetiously, I suggested “mole manor” as the name for our former yard, which had its share of critter issues. I have no idea what I would call this garden—Farm in the City? Urban Refuge? Howdy, Neighbor? I’m stumped. Our house is a 1939 bungalow, so something on the cottage-y end of design might work. I also like to use native plants, when possible. This is a question I’m still pondering. 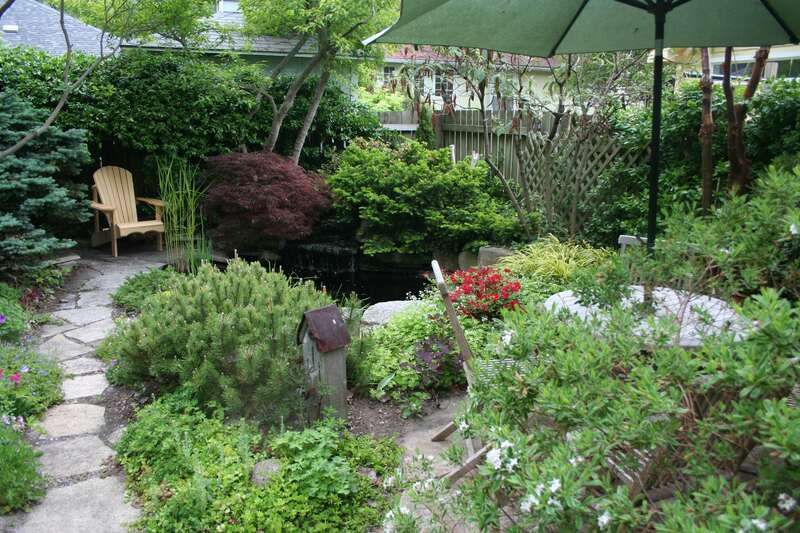 What questions would you ask before designing a new garden? Your questions are good ones. I usually ask myself what feeling I want in an area or in a bed… and which is similar to the question about style. The idea of naming your garden appeals to me and a name that feels right will go a long way towards defining style. It seems you are a practical person who likes native plants and lives in a pre-war house. Practically Native? oops… forgot to check comment box. That’s a great idea for a name! Thanks, Pat. Good questions. I’m more of a pencil and eraser or evolutionary gardener. I often see a big idea in my mind and slowly work towards that trying different options. I plant and then replant a lot, beds get tweaked in shape a little here and there pretty much every year. Lots of gardeners are afraid to change beds, dig up and move plants, or completely change gears and redo a space. I find myself constantly doing this and find that a garden that evolves with my use and plant availability works best for me. 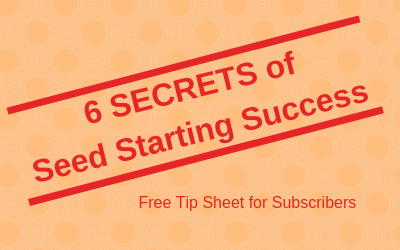 I also find that often after being in a space for 4-5 years what I thought was going to happen in one space is often much different than expected. The longer I garden the more patient I become and the more willing I am to let my design be fluid and evolve over time. As for a name, I love it. My garden name came with me when I moved from Ohio to Maine. Though we no longer have a chiots that runs through the garden, perhaps one of these days we will again.